It was a year of change, and it reflected in my photographic images. This first image is about community. 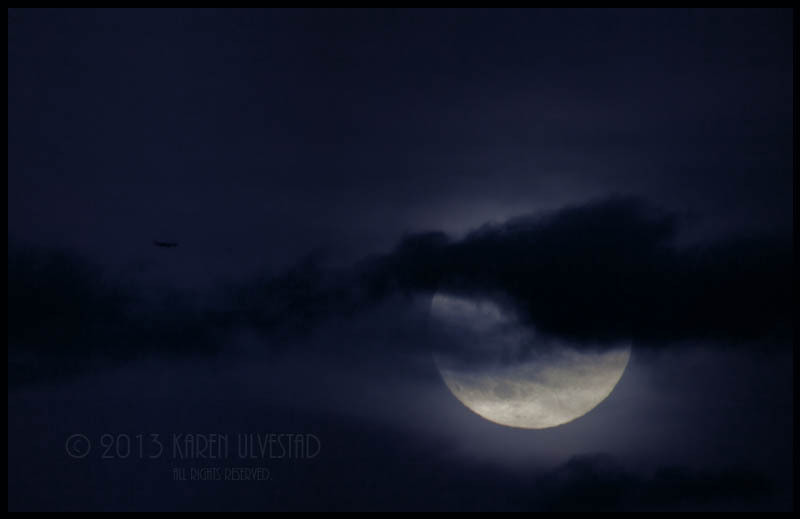 I was experimenting with a new 2x tele-converter with my 100-400 mm lens, and this was the result. On a drifting log resting are harbor seals, cormorants, gulls, and sandpipers. 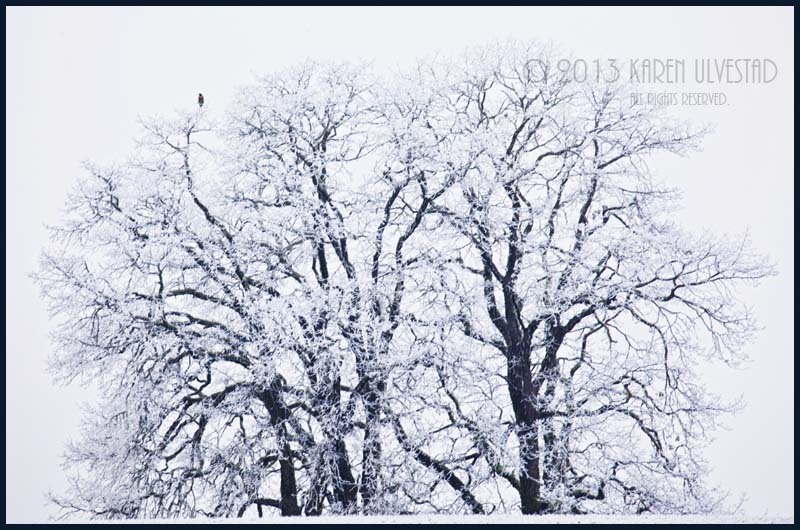 This next image is Oregon in hoarfrost with a redtail hawk at the top of the tree. I love the monochromatic of this image, and the color of the hawk. Experimenting became one of the tools I used this past year. 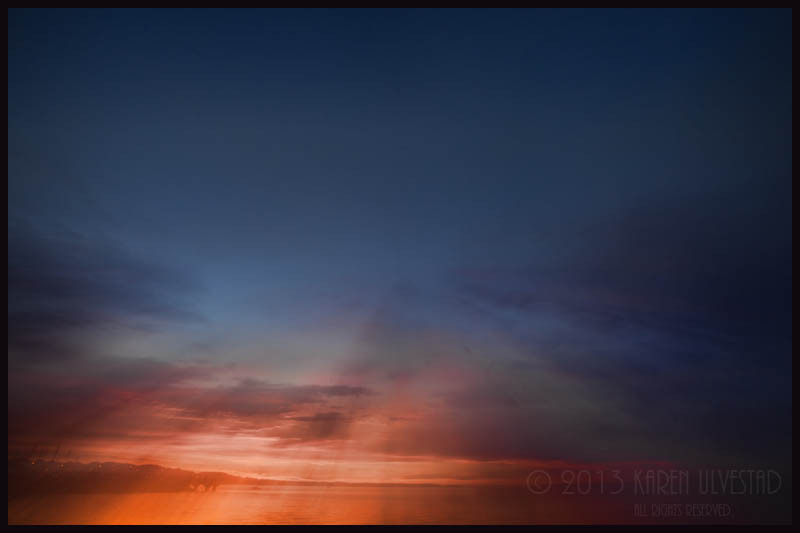 I love the peaceful feeling of this sunset, through the many layers of colors. This was done in the camera, then worked in the digital darkroom. Next is the super moon of 2013. We missed most of the meteor showers and eclipses due to clouds. So, this was a fantastic opportunity. 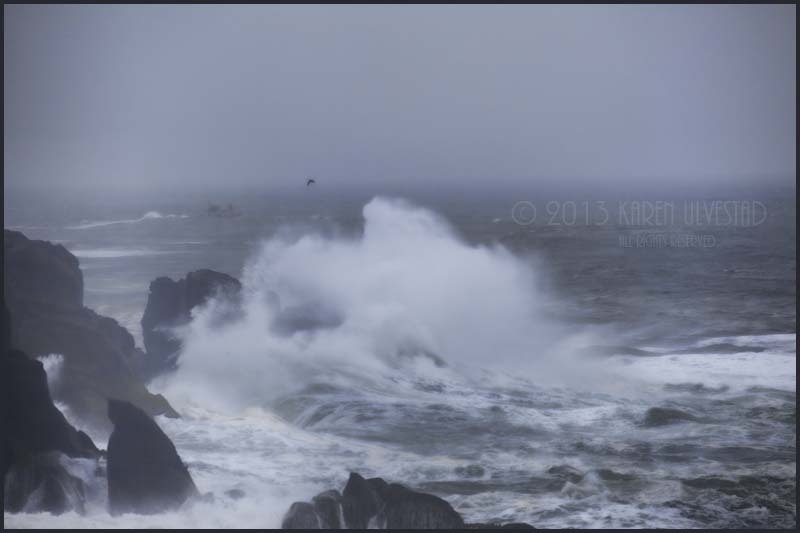 Next is the power of a spring storm on the Oregon coast. The monochromatic nature of this image lends itself to the rain that is coming in off the Pacific Ocean. The bird is a cormorant, and the boat is a Coast Guard cutter. I finish off with a pair of Peregrine Falcons. 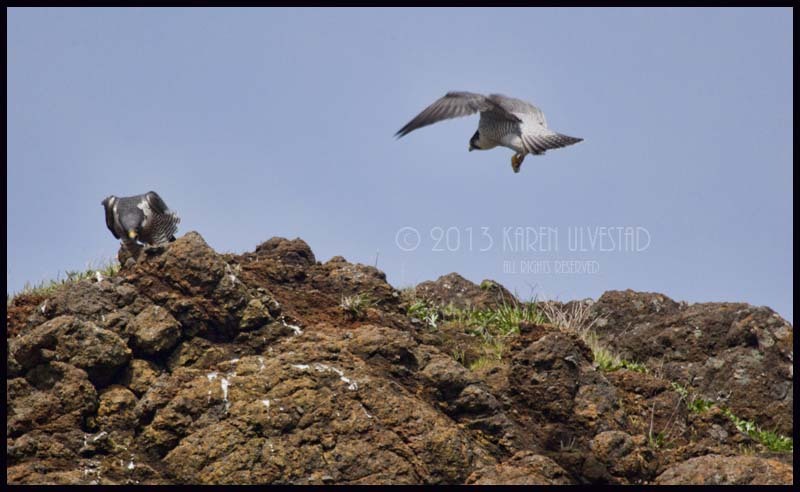 The female is on the cliff, and the male is flying in after she called him. It was a great event to photograph and experience. For my annual video clip of my 2013 best, visit here.